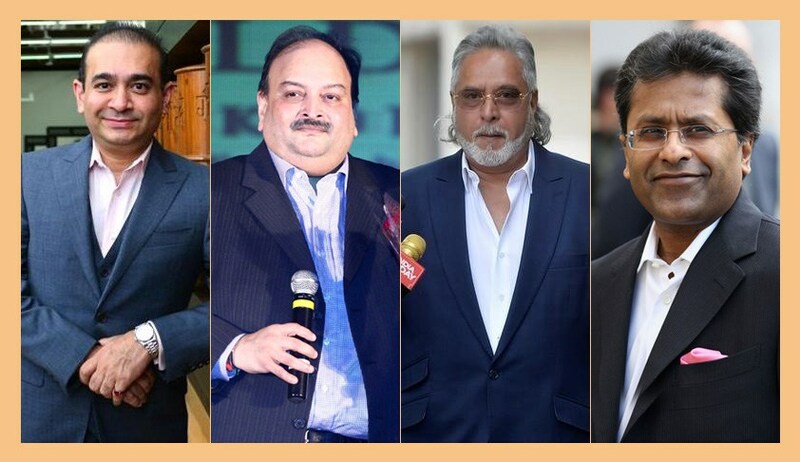 The Congress today alleged that “23 persons” involved in bank frauds to the tune of Rs 90,000 crore fled the country during the BJP rule and dubbed it as party which is “more loyal to a con-man than to a common man”. The opposition party said “the possibility of central government’s hand in relocation of 23 fugitives abroad in past four years cannot be ruled out” and demanded an impartial probe into the issue. Addressing a press conference, Congress leader Jaiveer Shergill targeted the government over businessmen like Vijay Mallya, Nirav Modi and Mehul Choksi fleeing the country and said “this proves beyond doubt that Modi government is not a guardian or protector of public money but a travel agency facilitating fraud and happy safe flying of willful bank loan defaulters”. Quoting data in “public domain and information sourced by various activists through RTI”, Shergill claimed a rise in bank frauds and “flying fraudsters”. He claimed that the total number of banking fraud cases from year 2014-2018 (up to March 1, 2018) was 23,000– in 2014-15 it was 4,639 cases, 2016-17 had 5,076 cases while in 2017-18 there were 5,152 cases. Shergill said that the total amount involved in banking scams was Rs 90,000 crore. In 2014-15 the amount was Rs 19,455 crore, the next year it was Rs 18,698 crore, 2016-17 it was Rs 23,933 crore and in 2017-18 it was Rs 25,459 crore. “Total number of persons/fugitives (involved in the banking scams) who fled the country was 23. Number of investigations launched to discover how these 23 fugitives escaped – zero and the number of fugitives brought back to India by BJP Government – zero,” he alleged. “The manner in which industry of banking scams’ has flourished and outbound traffic of scamsters’ has increased, it is clear that BJP is more loyal to con-man’ then to a common man. BJP provides the ‘chor darwaza’ (escape door) to all willful defaulters looking to run away with public money,” he alleged. “Ease of looting and fleeing India was promoted” instead of ease of doing business, he alleged. The Congress said it wanted a thorough impartial investigation “with respect to escape of 23 fugitives under Prime Minister (Narendra) Modi’s watch” and into what it alleged was the “BJP-fugitive nexus”. It also released a list of the “23 fugitives”. Next articleDoes Spirituality Have A Place In Modern Business?